Cool and comfortable! 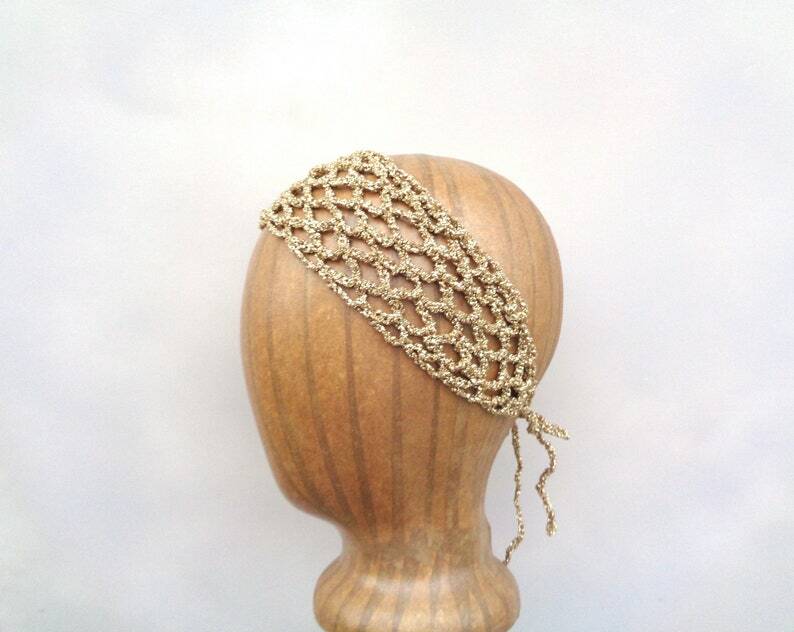 This crochet headband has an open fishnet texture with an adjustable tie back closure. A fun accessory piece with a bit of "edge". Gold metallic will coordinate with about anything and looks great on all hair colors. Looking for another color style?